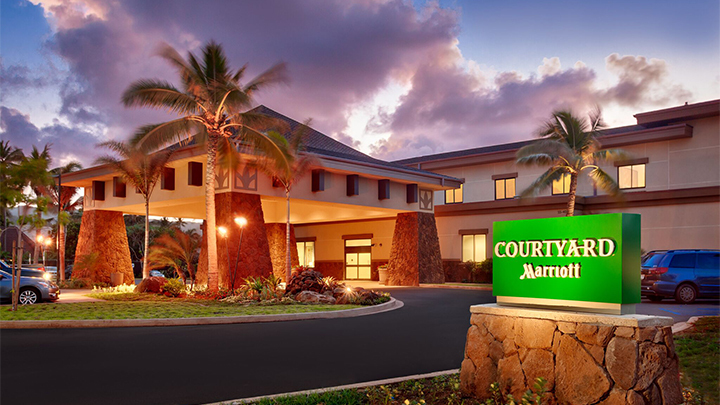 The 3.5 star Courtyard by Marriott Oahu North Shore is located on the North Shore of Oahu, where guests enjoy a variety of local eateries and fine dining restaurants, shops, boutiques and entertainment only steps away from the hotel. 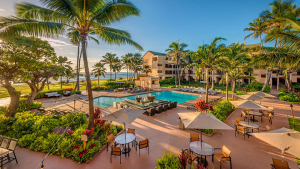 The fabled North Shore features pristine beaches, just minutes from the hotel, and the world famous Polynesian Cultural Center, an epicenter of Polynesian folklore, music and dance. 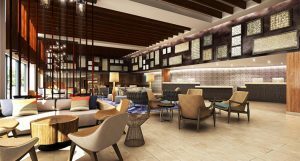 The lobby area is home island-style seating, large flat screen high definition TVs and complimentary High-Speed WiFi. There’s a complimentary 24-hour business center. The pool lanai comes with spacious sundeck, chaise lounges, umbrella shaded tables and covered pavilion seating. There are also heated swimming pool, children’s pool and a whirlpool spa. Other amenities include a fire pit, luggage storage, activity desk, 24-hour fitness center, laundry facilities, complimentary newspapers and security guard. Booking Window: Through November 30, 2018. Travel Window: Through December 21, 2018 (black out dates apply). Starting from $295 per person, double occupancy, roundtrip air and 1 hotel night. Book in participating room categories with no length of stay requirement and receive Daily Plated American Breakfast at the Bistro for 2 adults and 2 children under 12 years, inclusive of tax. Note: breakfast coupons are issued upon check in. Gratuity is not included and optional for guest. Participating categories: Standard (1 king bed with sofa bed); Standard (2 queen beds); Deluxe (2 queen beds with sofa bed). Book in participating room categories with no length of stay requirement and receive a discounted nightly rate. 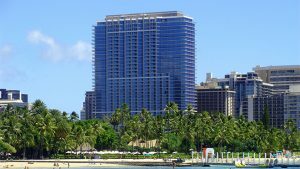 Guest(s) will be required to show a valid Hawaii Driver’s License or Hawaii State ID upon check-in. As an added value, the parking charge ($12.50) will be waived for one (1) car per reservation, valid for stays through June 30, 2018. Kama’aina, please select “Yes” for Hawaii Resident. 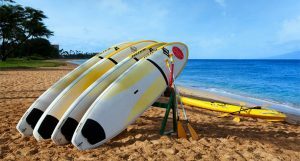 Note: starting from price based on air from Kauai (Lihue) and Maui (Kahului). Prices vary and are subject to change without notice. Travel beyond December 15, 2018 and from other cities may result in higher fares. Car rental and other destination services or activities are also available at additional cost. Based on availability and restrictions may apply.